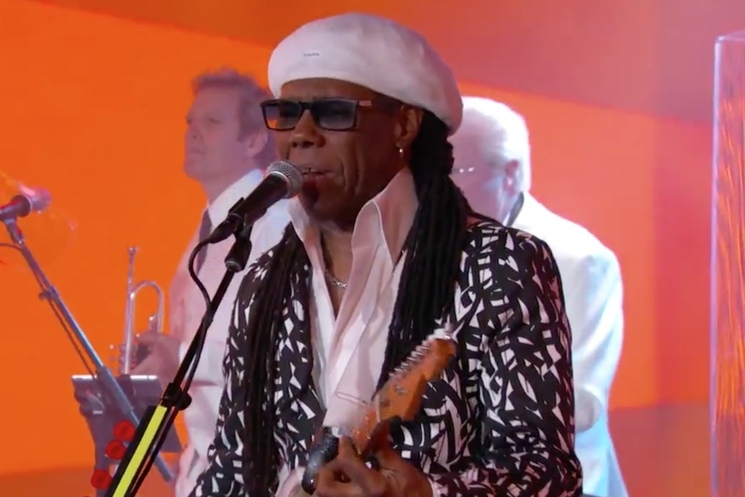 Chic are back, and with a new album called It's About Time due out this year through Warner Bros. Records, the Nile Rodgers-led disco group swung by Jimmy Kimmel Live! last night (April 14) to perform a couple of songs. Performing in a nine-piece lineup complete with a couple of singers and pair of horn players, Rodgers led the ensemble in a couple of tracks. They did the funky new single "I'll Be There," and then they brought out some audience members to boogie on stage during the danceable classic "Good Times." Watch the feel-good performance below.